Following a regular factory scheduled maintenance plan can help prevent a number of costly, stressful car repairs. Additionally, keeping to a regular maintenance schedule can help improve your auto’s resale value. 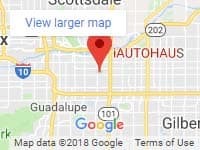 If you are in search of quality repair services for your European vehicle in Arizona, visit iAUTOHAUS today. We are experts in the field of servicing high-end European cars such as BMW, Bentley, Audi, Porsche, Maserati, Mercedes-Benz, Land Rover, Lotus, Maybach, and more. Contact iAUTOHAUS for factory scheduled maintenance services today! Most car manufacturers will provide you with a detailed car maintenance schedule. And while every make and model is different, manufacturers generally recommend service at intervals of 30,000, 60,000, and 90,000 miles. If you’re not sure when your car was last serviced, contact the technicians at iAUTOHAUS. They can help you determine whether or not your car needs service now, and what types of service you need. 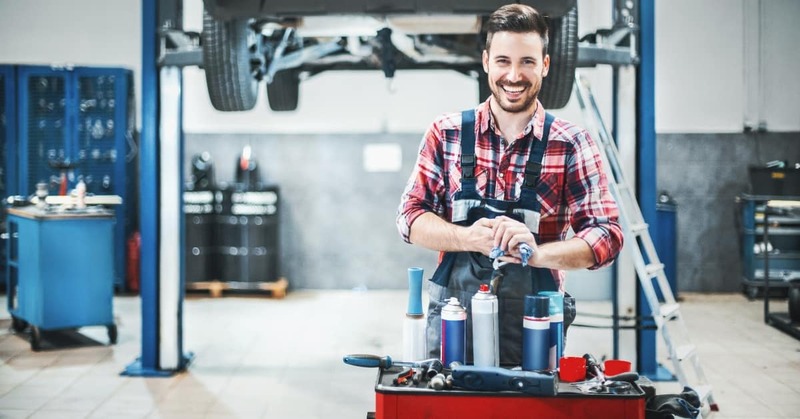 Typically scheduled services will include things like filter and oil changes, fluid change, a visual inspection of your vehicle, wheel alignment and tire rotation. Filters can clog over time, making it harder for your car’s engine to run. Your air filter needs to be replaced every 15, 000 to 30,000 miles. However, if you live in a dusty or smoggy environment, you may need to change the air filter every 15,000 miles. As for the fuel filter, when it gets clogged, your engine may not run at all. Most manufacturers recommend changing these out every 30,000 miles. You know that your oil needs to be changed regularly, but don’t forget your oil filter does, too. When your car’s engine runs dirt and debris can end up in the oil. This causes excessive wear on the engine. The type of oil you use will determine how often these two items need replacing. Your service technician can suggest the best type of oil for your vehicle. Due to extreme temperatures, the age of your battery, or long periods of non-use, your battery may need to be replaced. Batteries generally last about five years, which is around 60,000 miles. Each time your vehicle is serviced, the technician will check both your battery and your electrical systems to make sure everything is running correctly. When you bring your car in for service, the brake fluid, brake pads, and brake rotors will be checked. Brake pads run out, brake fluid can become contaminated, and brake rotors can warp over time. You need all three of these things functioning correctly to keep you and your family safe on the road. It’s extremely important to have these checked regularly. The coolant in your car helps keep the engine from overheating. Your service technician will flush your entire cooling system and replace the fluid every 60,000 miles. Additionally, you will want to make sure the transmission fluid is not low. If your transmission fluid is low, it can cause shifting problems and even can burn up your transmission. Typically, transmission fluid should be changed every 30,000 miles, but if your vehicle is used to tow heavy items, it may need to be changed more often. Power steering fluid is generally changed at around 75,000 miles. If your power steering fluid gets low, it can make the car hard to steer, or cause loud noises when you turn the wheel. Today, many new cars use iridium and titanium spark plugs, which can last as long as 100,000 miles. However, if you have the older, copper spark plugs, these generally need to be changed every 30,000 miles. While the above items need to be inspected, changed, or replaced at 30,000, 60,000, and 90,000 miles, some items simply wear out over time. Regular wear and tear on items like windshield wipers, hoses, belts, and tires can mean they need replacing at different intervals. For this reason, it’s important that you do a visual inspection of these items regularly. Ask your technician to check them when you bring your car in for maintenance, as well. All of these are guidelines, not rules. Consult your car’s owner’s manual for a more precise maintenance schedule. When it’s time for your car’s regular maintenance, contact the iAUTOHAUS BOSCH Authorized Service Facility in Tempe, AZ. We have the expertise to handle any and all of your luxury automotive service or repair needs. Whether you have an Audi, Porsche, Jaguar, Maserati, or a range of other select and foreign models, our iAUTOHAUS service staff has the proper tools, equipment, and experience to get the job done right. In our high-tech Tempe, Arizona repair shop, we use only factory or OEM replacement parts. You can expect quality workmanship and prompt, courteous, knowledgeable service every time from our ASE-certified technicians! Give us a call today at 480-317-0783 to schedule an appointment.